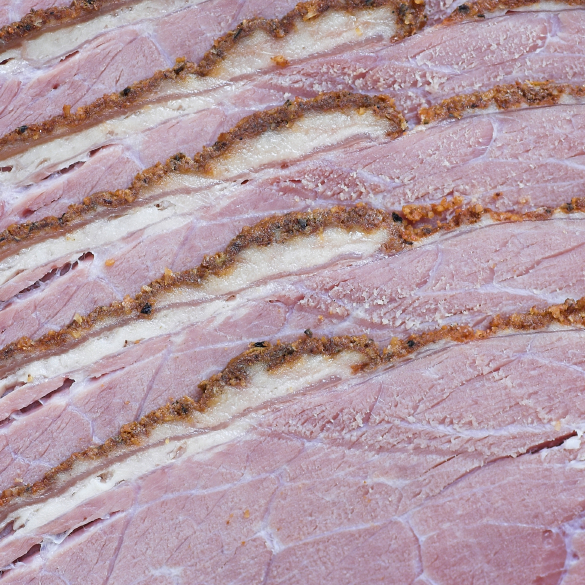 Slices of brisket smoked (not cured) just like our pork bacon, so it's free of nitrates/nitrates. We're working on simplifying the seasonsing ingredients, but currently our butcher uses salt, brown sugar, sodium phosphates (butcher says its for moisture retention but we're going to try it without soon), maple extract, and charoil. Each pkg weighs 1.1 lbs.